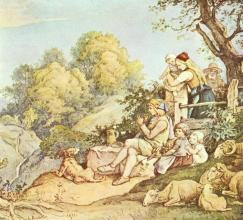 Adrian Ludwig Richter (1803-09-28-1884-06-19), German painter and etcher, was born at Dresden, the son of the engraver Karl August Richter, from whom he received his training; but he was strongly influenced by Erhard and Chodowiecki. 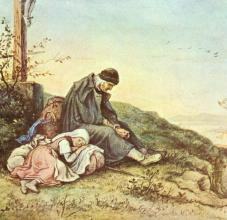 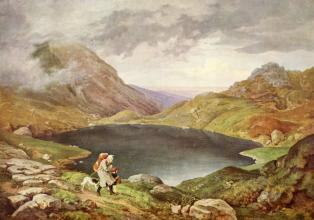 He was the most popular, and in many ways the most typical German illustrator of the middle of the 19th century. 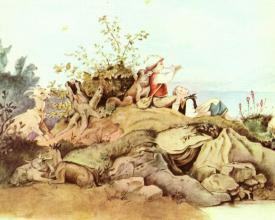 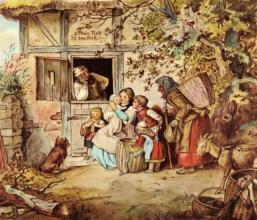 His work is as typically German and homely as are the fairy-tales of Grimm. 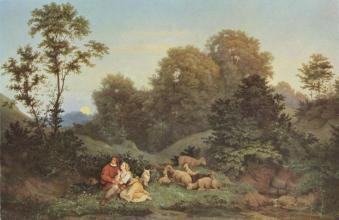 Richter visited Italy from 1823-1826, and his Thunderstorm in the Sabine Mountains at the Staedel Institute in Frankfurt is one of the rare Italian subjects from his brush. 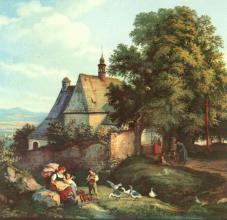 In 1828 he worked as designer for the Meissen factory, and in 1841 he became professor and head of the landscape atelier at the Dresden Academy. 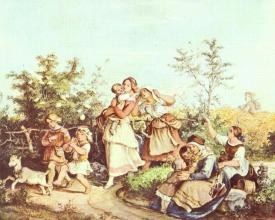 The Dresden Gallery owns one of his best and most characteristic paintings: Bridal Procession in a Spring Landscape. 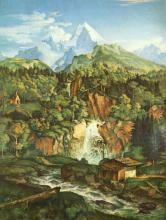 An eye disease put a stop to the practice of his art in 1874; he was pensioned in 1877, and died at Loschwitz, near Dresden. 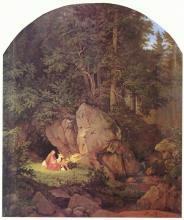 The interest of his uneventful life centres within the circle of his art. 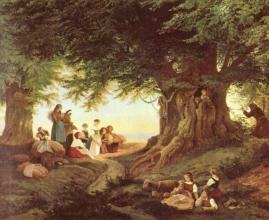 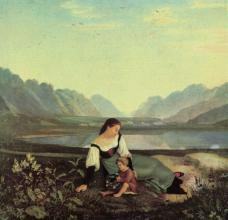 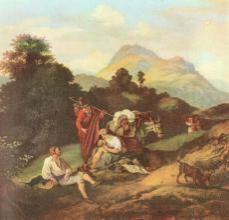 As a painter Richter aimed at a thorough blending of the figure element with the landscape and may be judged by the following examples: "Harvest Procession in the Campagna" (1833) and three others in the Leipzig Museum: "Ferry at the Schreckenstein" (1836) and "Bridal Procession in Springtime" (1847), in the Dresden Gallery; "View of the Riesengebirge" (1839), in the National Gallery, Berlin. 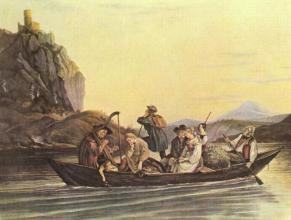 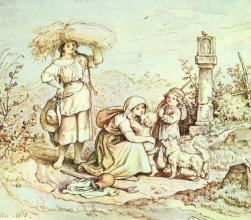 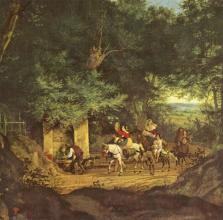 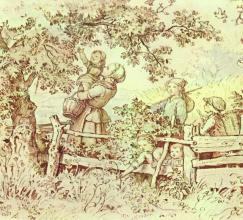 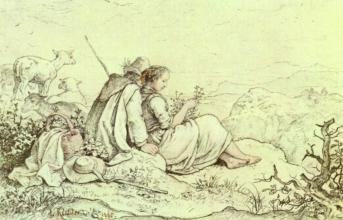 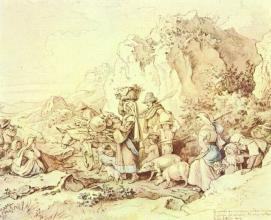 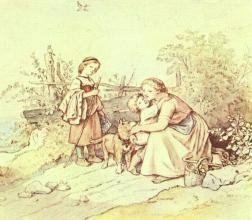 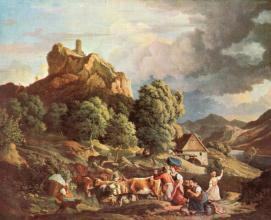 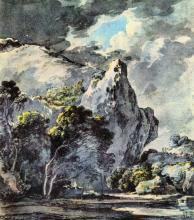 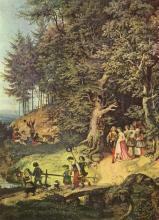 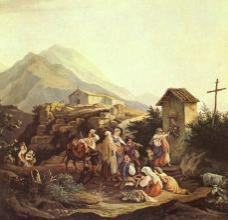 Among his 240 etchings are about 140 views in Saxony, others of Salzburg, Rome, and the Campagna. 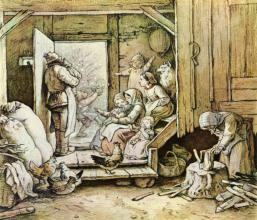 His individuality is most completely revealed in his 3000 or more drawings for woodcuts, of which art he was one of the most influential revivers. 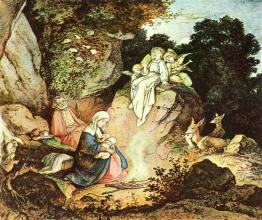 Of special charm are his illustrations for The Vicar of Wakefield (1841), for Musäus' Volksmärchen (1842) and for numerous other fairy tales, for the Goethe Album (1855), and for Schiller's Glocke (1857), and those cyclical publications which reveal the most brilliant side of the artist's inexhaustible fancy, such as Beschauliches und Erbauliches (1851); Kinderleben (1852); Fürs Haus (1858-61); Der gute Hirt (1860); Unser täglich Brot (1866); Bilder und Vignetten (1874).